Lotus lantern festival is on the night of May 12, 2018. 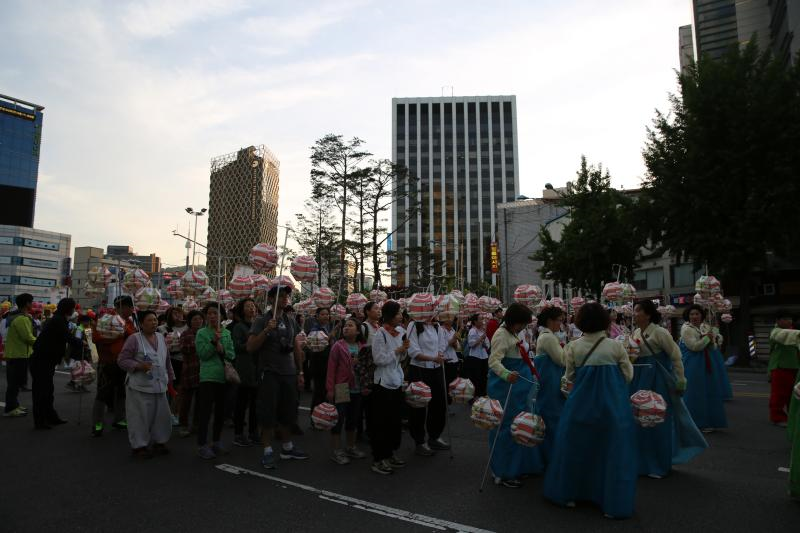 More than one hundred thousand louts lanterns will light up the Seoul night. 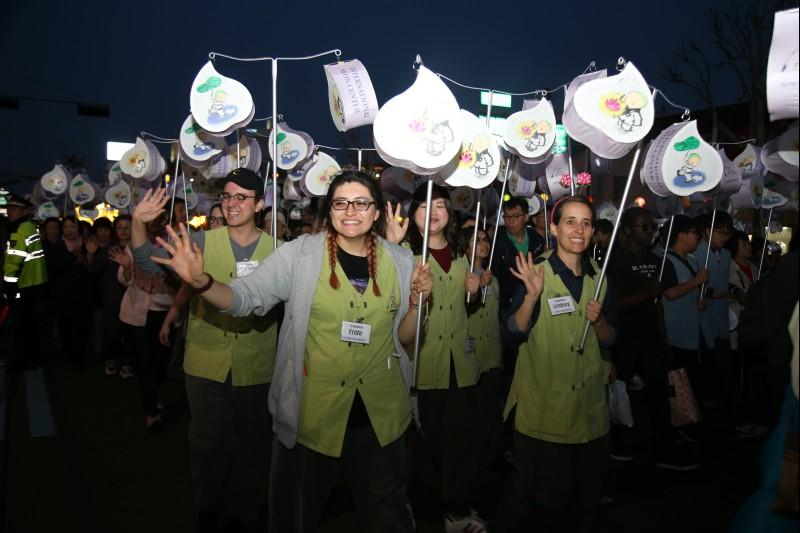 The majestic parade of lanterns in unimaginable shapes and colors will bring the hearts of both participants and spectators together as on. And you can join the festival get a first-hand experiece! 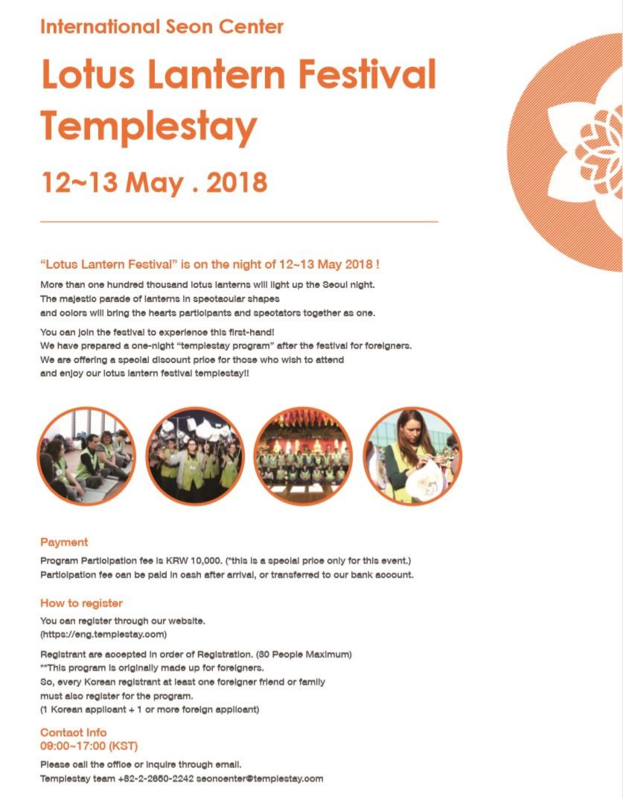 Then we prepare to 1night stay in templestay program with the festival. 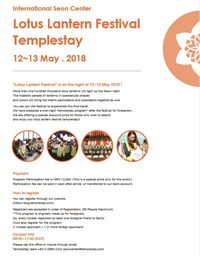 Enjoy our lotus lantern festival templestay!! *provide speacial price only the day. 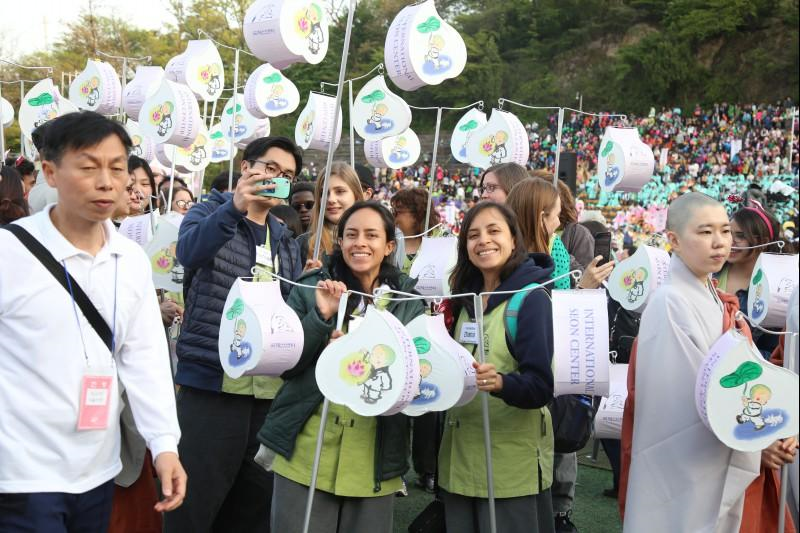 This is a program to experience of various (Korean) traditional culture linked with historical characteristics of Buddhist temple.You can learn many traditional culture such as Lotus Flower Lantern Making, Ingyeong ( Wood Block Printing from the Tripitaka Koreana ), story of Buddhist picture(Sim-u-do), Intensive Seon Meditation, Walking Meditation, Breathing Meditation, Happiness Meditation(Widen mind), Lying Meditation, Mandala Art Meditation, Mind Sketching, Sharing Dharma and Mind, Tea time with Sunim, The last Seven days of life, Traditional rubbed copy, Sutra copying practice, 108 prostration and making prayer beads and so on by yourself.